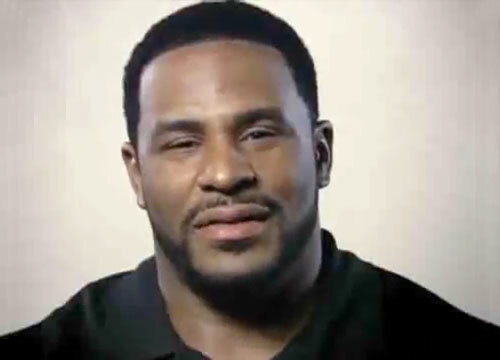 PITTSBURGH, PA. — The Pittsburgh Steelers announced on Tuesday that they’ll honor running back, Jerome Bettis, at Heinz Field at the Thursday, Oct. 1 primetime matchup against the Baltimore Ravens. Bettis, who will be inducted into the Pro Football Hall of Fame in August, will receive his HOF ring during the Oct. 1 ceremony. Source: Baltimore Sun. According to the Post-Gazette, last year the Steelers honored Hall of Fame defensive lineman Joe Greene at halftime during a game against the Ravens when they retired his No. 75 jersey. The Steelers gave Greene the option to choose any of the eight home games. Greene said he chose the Ravens game because of the rivalry the two teams have developed in recent years. Bettis confirmed to the Post-Gazette via text message that he picked the Ravens game for his ceremony for the same reason. Bettis will be enshrined in Canton on Saturday, August 8, and the Steelers will play the Vikings in the Hall of Fame Game the next day. The October 1 event will feature a special ring ceremony. Bettis played for the Steelers from 1996-2005 and rushed for 10,571 yards and 78 touchdowns with the team. Bettis is sixth on the list of NFL rushing yards leaders. He retired in 2006 after the Steelers won Super Bowl XL in his native Detroit, Michigan. Asked about the possibility of retirement, Bettis announced, “It’s been an incredible ride. I played this game to win a championship. I’m a champion, and I think the Bus’s last stop is here in Detroit.” Thus, Bettis officially announced his retirement standing on the champions’ podium, holding the Vince Lombardi Trophy. Bettis is currently the host of The Jerome Bettis Show on WPXI-TV, filmed at Heinz Field, airing Saturdays at 7:00 PM and 1:00 AM. He is a commentator for the NFL Network and a former NBC studio analyst for Football Night in America. Sports Speakers 360 is a booking agent for motivational sports speakers. If you would like to book pro athletes or NFL stars like Jerome Bettis for a speaking engagement or appearance, please contact Jerome Bettis’s booking agent for speaker fee information. For details on how to hire Pittsburgh Steelers players for appearances, call 1.855.303.5450.